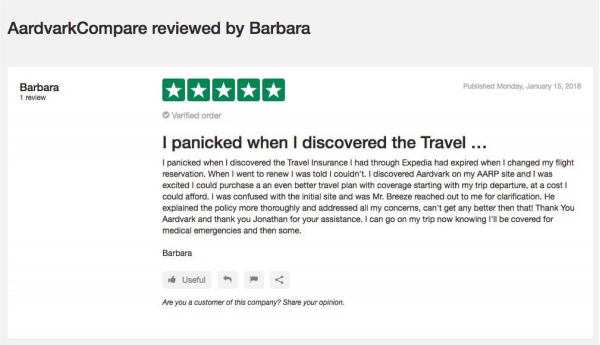 The vast majority of our work at AardvarkCompare concerns Senior Citizen Travel Insurance. Many of our travelers have retired from their primary professions and are enjoying travel around the world. We do literally mean around the world. Our older customers are far more adventurous that our younger ones. It’s funny – the media portrays older people in a certain light. We see more of the reality – older people traveling to Asia, Africa, Southern America. We see people on exotic cruises, or engaging in reconstruction work within isolated communities. So, we have learned over the years that Senior Citizen Travel Insurance is not a one-size-fits-all approach. It needs to be tailored to the needs of the individual. 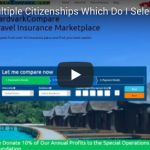 In the course of this article we will try to cover the main issues that arise when we talk with our Senior Citizen Travel Insurance customers. Many come to us via AARP, which is where we really got to develop a level of expertise. If there was a single piece of advice we could give anyone looking to buy Senior Citizen Travel Insurance – please buy it early. Incorporated into almost every Travel Insurance Policy are a series of Time-Sensitive benefits. 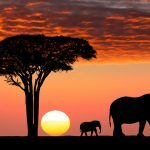 A Time-Sensitive Travel Insurance benefit is something that is provided, at no additional cost, if a traveler books their Travel Insurance very quickly after their initial trip deposit. Typically, this Time-Sensitive Period is 20 days, but some Trip Insurance Policies are only 15. Note that the time clock begins at the date of initial trip deposit. Not your final payment, but the day you first pay money towards a trip. 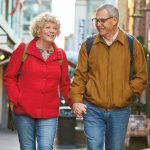 The reason we get so excited about the early booking of Senior Citizen Travel Insurance is that it unlocks a free Pre-Existing Medical Condition Exclusion Waiver in our more comprehensive policies. Without doubt, one of the most frequent questions we are asked relating to Senior Citizen Travel Insurance is on the topic of Pre-Existing Medical Conditions. The simple and short answer is that you probably do not have a Pre-Existing Condition, in so far as how the Travel Insurance Carrier defines it. Even if you do have a Pre-Existing Medical Condition, you will almost certainly be able to get a waiver so as to bring that condition back into cover. You may think that you have a Pre-Existing Medical Condition. But just because you think you have one, doesn’t mean that the Travel Insurer agrees with you. They think you are fine and will offer you full cover. Confusing, we know, but let us explain. Most of us would think that a Pre-Existing Medical Condition was one that we had lived with for some time. High blood pressure, for example, or sciatica. 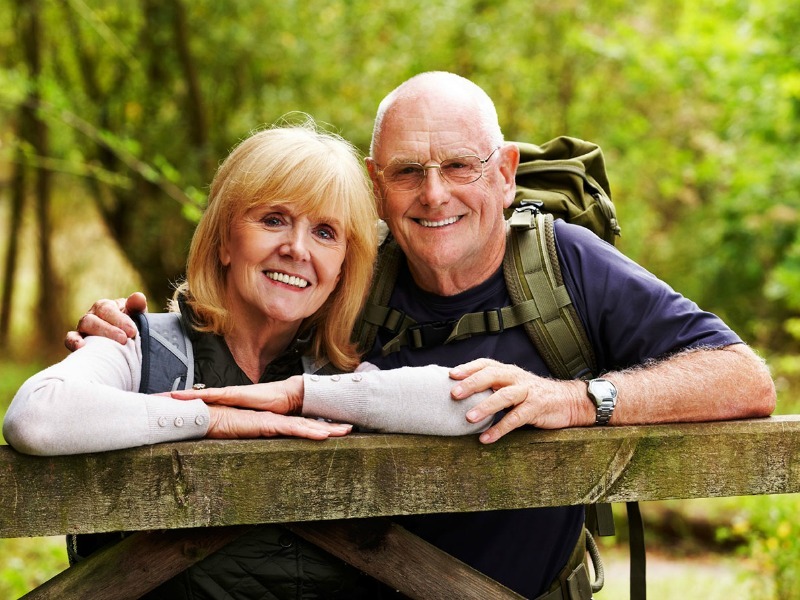 The Travel Insurance company has a completely different interpretation of what a Pre-Existing Medical condition is, and it is critical when looking for Senior Citizen Travel Insurance that you understand its view. Provided that you have experienced none of these in the recent past, then you are all clear, as far as the Travel Insurance Carrier is concerned. Your old condition that you have had the same medications for over a long period of time is covered, do not worry. How long is the ‘recent past’? In the travel insurance world, this is known as the ‘Look-Back Period’. This is the time that the Travel Insurance Carrier ‘Looks Back’ in order to determine if you have a Pre-Existing Medical Condition. 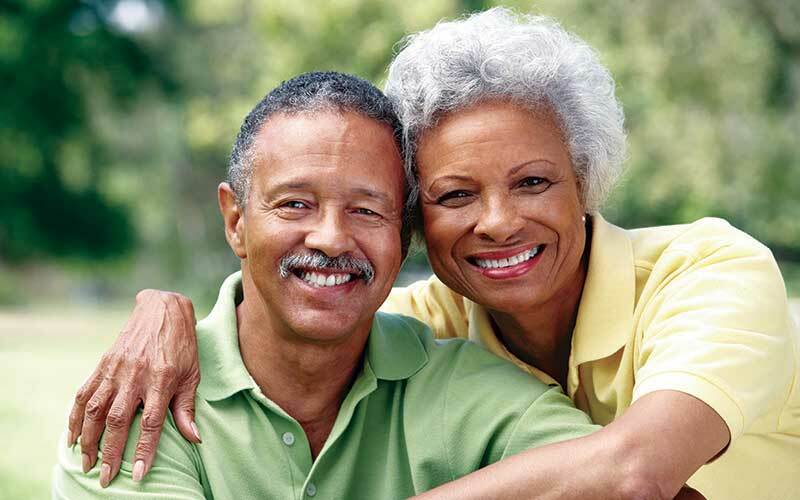 Now, the best Trip Insurance policies for Seniors will have short Look-Back Periods – 60 days is the best we see. You will see such 60-day Look Back Periods on policies like the iTI Travel SE and the TII Worldwide Trip Protector. Other Travel Insurance policies have Look-Back periods that extend to 180 days. We really do not like such long Look-Back Periods in Travel Insurance. The reason is that we have trouble remembering exactly what changes in condition or medication we have had all the way back over a six-month period. So, if you are looking for Senior Citizen Travel Insurance, try to find one with as short a Look-Back Period as possible. In simple terms, a short Look-Back period means that there is a much smaller chance of a Medical Condition being excluded because it is ‘Pre-Existing’. But, there will still be some travelers who find that they have a Pre-Existing Medical Condition, even with a short Look-Back period. As such, normally, this medical condition would be excluded from cover. Of course, we would want to find a way to get that Medical Condition Exclusion waived. In a stroke of insurance-writing genius, the Travel Insurance Carriers call this a Pre-Existing Medical Condition Exclusion Waiver. This waiver is issued with some of the more comprehensive travel insurance policies. It does exactly what the title suggests. The exclusion is waived – your Pre-Existing Medical Condition is now covered again. Sounds Fantastic – How Do I Get a Waiver? Remember at the start of the article when we asked that you buy your Travel Insurance policy early? Well, this is why. There is a ‘Time-Sensitive Period’ on Travel Insurance policies that issue a Medical Waiver. This states that if you buy your Travel Insurance policy within 14-20 days of making your initial trip deposit, then a Medical Waiver will be automatically provided. All you have to do is book Travel Insurance early, and any waiver will be granted. Given how important a Medical Waiver is to many of our Senior Citizen Travel Insurance customers, this is one of the few things that we get excited about. We include this advice throughout our site, and in every piece of correspondence. Sometimes we worry that we are beginning to become a nuisance. But it is so important, and so easy to get the waiver. Just book Travel Insurance promptly (within 14 days ideally) after your initial trip deposit. How Much do I Insure? When Should I Insure? Many of our Senior Citizen Travel Insurance customers book their trips a long time in advance, with an initial deposit and subsequent payments. In terms of how much to insure – you should insure your non-refundable costs. Your flights are probably non-refundable, so insure those. Your cruise will be non-refundable, so insure this. But, hotels might be different. If you can cancel your hotels and not get financially penalized, then there is no point in paying for travel insurance for hotels. That would just be a waste of money. You can choose to insure the entire trip amount even though you have only made a deposit. That is fine. Many people prefer to do this so that they do not forget to insure the entire trip cost later on. However, you have the other option of just insuring your deposit amount to begin with, and then adding more travel insurance as your costs increase. That’s perfectly fine as well. However, when deciding which travel insurance to buy, do make sure that you run your quote based on your full trip amount, not just the deposit. You are sure to find the cheapest Senior Citizen Travel Insurance plan this way. The second most asked question from those looking to book Senior Citizen Trip Insurance relates to Trip Cancellation Protection. We can break this down into Basic Trip Cancellation Protection, Cancel for Work Reasons, and Cancel for Any Reason. Every comprehensive travel insurance plan will have Basic Trip Cancellation Protection embedded into it. Here is the policy language that we see in the iTI Travel SE Policy. For the Other Covered Reasons listed below; provided such circumstances occur while coverage is in effect. Note that Family includes brother- and sister-in-laws (a frequent question). Clearly we can see that if you are medically unable to travel, you will be reimbursed. But, if a family member requires medical treatment, your cover is only useful if their sickness prevents your participation on the trip. As in, if you are required to care for the sick family member. More cancellation flexibility is provided by Cancel for Any Reason cover, which we will describe soon. Let’s look at Cancel for Any Reason. You can get 75% of your trip costs back, if you take Cancel for Any Reason travel insurance. Many of the times we are asked about this cover concern the circumstances where a traveling companion might get sick. In this case, the other traveler would not wish to travel. However, this type of event would be covered by regular cancellation protection. Cancel for Any Reason Travel Insurance is not required in those type of circumstances. Where Cancel for Any Reason is great is when trips are booked a long way ahead of time, and there is good reason to think that circumstances may change so that a trip would need to be cancelled. If the trip is expensive, it is much better to get 75% back rather than nothing at all. Customers who buy Cancel for Any Reason cover within their Senior Citizen Travel Insurance tend to be spending a lot of money, a long time ahead, often on a cruise. It is essential that a Senior Traveler have strong Travel Medical Travel Health Insurance when traveling. Most of us do not have health insurance that works outside the USA. Those of us that do will often find that the level of cover is weak, and/or that there are higher than normal co-pays. Please check with your health insurer. Do not assume that your health insurance will work outside the USA. Those travelers who rely on Medicare to support them need not check – we can provide the answers now. Medicare does not and will not support travelers outside the USA. 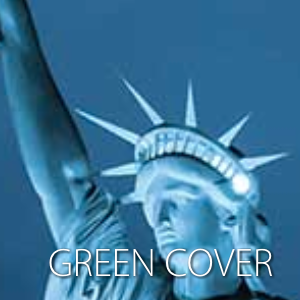 The U.S. State Department offers very strong guidance that US citizens and residents take adequate medical cover when they leave the USA. The US Government will not be picking up any medical costs. Some travelers who have opted into Medigap may have some international medical cover. Covers foreign travel emergency care if it begins during the first 60 days of your trip, and if Medicare doesn’t otherwise cover the care. Note that the limit is only $50k and there is a huge 20% co-pay. Even for those who have a valid Medigap plan, we do not recommend it as your sole international travel medical plan. Add additional medical cover. How Much Medical Cover should Senior Citizen Travel Insurance Include? We have offered consistent advice over the years that the minimum Travel Medical Insurance is at least $100k. Any less than this feels as though we are taking unnecessary risks. 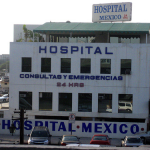 International private hospitals routinely charge $3k-$4k per day. $100k is the minimum we ever advocate in Travel Medical Cover. Emergency Medical Evacuation cover should have $100k of cover, unless you are venturing to a more remote part of the world. In this case, please take at least $250k of Medical Evacuation cover. Private jets with doctors and nurses on board are extraordinarily expensive. Make sure your cover can support these costs. What if I Just Want Travel Medical Cover? Many travelers do not wish to insure their trip costs at all. They just want to have Travel Medical and Evacuation Cover. A simple way to do this is run a trip quote for $0. We still need to know ages, dates, destination. But, you declare $0 as your trip cost. Now you will see a range of quotes that will offer you much lower priced Travel Insurance. In essence you are only getting Travel Health and Medical Evacuation cover. Why is this so helpful? Well, many Travel Insurance Carriers who offer pure Travel Health Insurance start to restrict that cover as travelers age over 74. 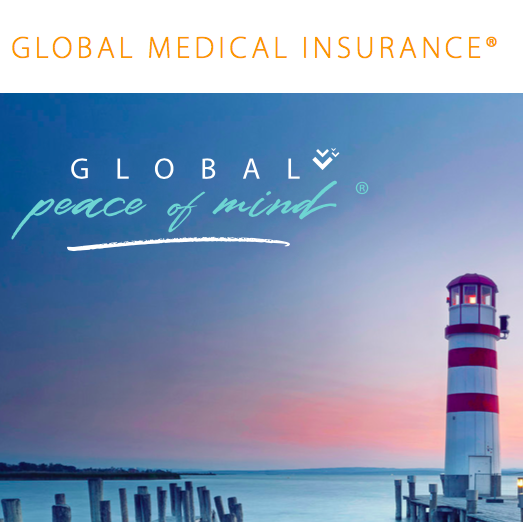 GeoBlue is a great example of a Travel Health Insurer that restricts medical cover to people as they age. Our $0 Trip Cost method is an easy way to work around this. Plus, the plans tend to be much better priced than pure Travel Health Cover. One word of warning. Some carriers will insist that you insure your entire trip costs in order to receive a Pre-Existing Medical Condition Exclusion Waiver. If a waiver is important, bear this in mind. A further note – the ITI SE Plan does NOT require you insure your entire trip costs to get the Waiver. TII Worldwide Trip Protect does. So, $0 trip cost, and you need a waiver? The iTI Travel SE is a good plan to look at. Primary cover is preferable because this means that the Travel Insurer is likely to set up direct billing with any health provider. The Travel Insurer who provides Primary Travel Insurance to a Senior Traveler knows that they are the only insurer who will pay towards treatment. As such, it is in their best interests to set up direct billing with the hospital. The benefit to the traveler is that there ought not to be out-of-pocket expenses. Secondary cover is not bad at all. But it will almost certainly involve more paperwork. We prefer less hassle, and will opt for Primary Medical Cover when we can. 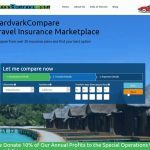 When you run a quote with AardvarkCompare, you will be presented with a range of different Travel Insurance Plans from the leading Trip Insurance Carriers in the USA. Our plans are the exact same cost as if you had gone to each any every carrier directly – we guarantee this. You will not pay a cent more for the use of our services. Our system allows you to compare all the different plans, on a single page, so that you get best value. You should feel free to talk with us at any point in order to receive more personalized advice. We have built up a reputation of offering the best Senior Citizen Travel Insurance advice in the USA. We will do our utmost to ensure that you are placed into the least expensive trip insurance policy that fulfills your needs. Do remember our first piece of advice – please book your Travel Insurance Cover swiftly after your initial trip deposit, so as to enjoy all the available benefits in your policy.